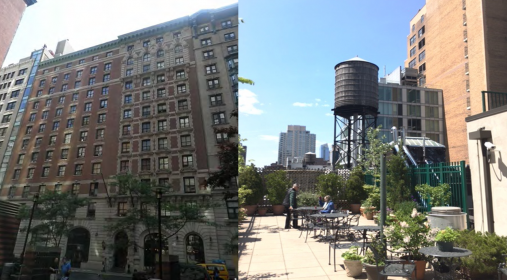 Since 1999, Breaking Ground has housed many of Midtown Manhattan’s most vulnerable residents at the Prince George, which features 416 units of supportive housing. To address the long-term capital needs of this historic landmark building and allow the Prince George to best serve its residents, LIIF provided a $10 million construction loan in partnership with TD Bank. Spearheading the rehabilitation effort is Breaking Ground, a pioneer in the development of supportive housing and research-based practices that aim to end homelessness. The project is also made possible by the New York City Housing Preservation and Development Inclusionary Housing Program, which is designed to promote and permanently preserve affordable housing. The soaring cost of living in NYC has left many of the city’s at-risk population searching for access to affordable housing and social services. Located just north of Madison Square Park in Midtown Manhattan, the Prince George addresses these needs by housing low-income adults, formerly chronically homeless individuals and persons living with HIV/AIDS. On-site social services are provided to residents by the Center for Urban Community Services and include case management, recreational activities and self-sufficiency workshops. LIIF’s investment supports the rehabilitation of the historic exterior and major building systems, which will ensure the long-term success of the site.